Xenoblade Chronicles 2 came out in a year jam-packed with incredible video games. From Nintendo alone, in 2017 we saw the release of instant classics like The Legend of Zelda: Breath of the Wild and Super Mario Odyssey, a bold new intellectual property in the form of Arms, and a stunning sequel to the Wii U’s rare breakout hit, Splatoon. Even with its inevitable comparison to all of these amazing games for Nintendo’s equally amazing new console, Xenoblade 2 managed to capture my heart in a way that nothing had been able to in a very long time. Its lush, colorful visuals, excessively intricate gameplay systems, and extremely charming cast left me enraptured for well over 100 hours. It wasn’t a game for everyone, but it was certainly a game for me. With that in mind, allow me to paint a heavily biased picture of the first three(ish) hours of XC2’s recently released story DLC, Torna: The Golden Country. Quick warning: if you don’t know anything about this DLC and haven’t played the base game for Xenoblade 2, I do not suggest reading this article. The DLC’s setting is intricately connected to XC2’s story, so spoilers will be unavoidable. Also, you probably won’t understand most of what I’m talking about. Continue at your own risk! 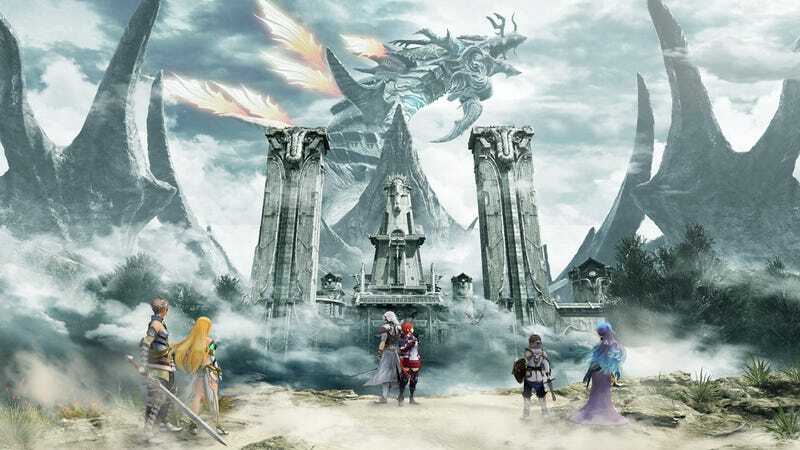 The premise of Torna: The Golden Country is immediately enticing to anyone who has played Xenoblade 2. The DLC tells the story of Addam, the original driver of the legendary blade Mythra, as he hunts down the tyrant Malos in an attempt to put a stop to his devastating reign of violence. This story is heavily alluded to in the base game but is never explained in satisfying detail. This serves to immediately grant the DLC a substantial amount of intrigue, but creates an inherent issue present in all prequels: we already know the outcome of the story. Addam will successfully use Mythra’s power to mortally injure Malos and put an end to the war. He will do so at the cost of multiple nations including his homeland, the titular Torna. This much was made obvious in the base game. Even so, the development of the characters involved remains a potentially exciting source of drama, particularly that of eventual antagonist Jin. This prospect remains intriguing three hours in, though the character dynamics can be predictably… predictable. Jin’s undying devotion to Lora, Brighid’s struggles with identity, and Haze’s, well, blandness, were all established in the base game. These are characters that have already received fleshed out arcs, and can therefore feel like heavily trodden ground in a prequel story. In contrast, Mythra’s dynamic with Addam is extremely interesting. Almost impossibly, she seems to be even more obnoxiously superior in this DLC than she is when she first appears in the base game. Addam, an enjoyable character in his own right, seems to spend much of his time acclimating her to social situations and attempting to help her understand the impact she can have on others. It’s cool to see what is essentially the first half of Mythra’s arc, before Rex helps finish it out hundreds of years later. I’m excited to see how that dynamic develops, even if the other characters seem fairly played out. Also plenty of nice foreshadowing. As far as gameplay goes, the combat system has undergone a major refinement: you can now play as a blade. With three drivers with two blades each (for now, though I would guess that will be the maximum), there are nine characters that you can directly control. In a particular battle, you can control up to three. Switching between blade and driver is used for more than just variety: characters have unique attacks that they can execute on a switch, and they can regenerate a portion of their health when they are fighting from the rear. Additionally, the wealth of variety in your potential pool of arts (a total of nine, over the previous three) makes driver combos much easier to accomplish without relying on AI controlled characters. All in all, the switching mechanic is well-executed and rewarding to use. On top of character switching, several old mechanics have received tune-ups. Each stage of a blade combo now inflicts an elemental orb onto an enemy, making lengthy chain attacks much more plausible (albeit with an apparent decrease in their damage potential to balance the ease of use). Blade combos are also much easier and more intuitive to use, since any combination of elemental specials can now successfully execute the combo. The old combos still do more damage though, and are the only way to get the awesome mini-cutscenes that make XC2’s combat so visceral. A minor downside to this is that the old combos are no longer displayed at the top right of the screen during combat. Hope you memorized them! Finally, the exploration, a huge draw for the base game, feels lackluster in this DLC. This may well change as I dive further in, three hours is not a lot of time in a game like this, but so far I have not been impressed. Torna’s early areas are composed of the same grasslands that you’ll remember from Gormott, with similar lakes and cliff areas that almost seem copy/pasted from that familiar giant goat. Gormott itself is made much less interesting by the lack of the bustling town of Torigoth, and feels like a direct downgrade from the memorable area in the base game. I really hope this changes as I continue to play, but my first impression is one of unconcealable disappointment. Overall, I’m definitely enjoying Torna: The Golden Country. There is plenty more to discuss about the expansion (which I will hopefully do in a full review once I’ve finished it…), but as it stands I can’t wait to see what else it has in store.